I am not a natural cook. The most credit I can give myself is that I am a good recipe follower. That's why I am excited to share recipes with you when I stumble upon a good and easy one! 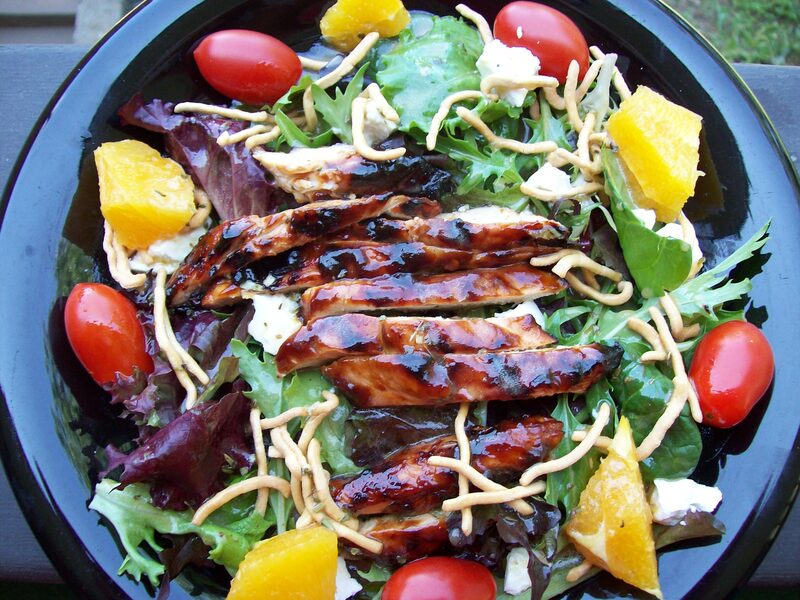 A recent recipe success is called the Teriyaki Chicken Salad by Michelle Brooke on AllRecipes.com. I am a big fan of delicious and healthy meals and this flavorful salad is one of them. I love the fact that I can marinade the chicken days ahead and throw the salad together when the need arises. Here is the recipe. Marinate chicken in the orange juice, soy sauce and lemon-lime carbonated beverage for several hours or overnight. Preheat grill to medium-high heat. Remove chicken from marinade and drain. Place chicken on hot grill and cook for 6 to 8 minutes on each side, or until juices run clear. Remove, cool, and cut into strips. Whisk together the lemon juice, vegetable oil, salt, pepper and garlic cloves. Allow garlic cloves to sit in dressing for a few hours and remove before pouring on the salad. In a salad bowl, combine the lettuce, tomatoes, mozzarella, Parmesan and marinated chicken strips. Pour dressing over salad; toss and serve. This is an excellent recipe especially in the hot, summer months! Enjoy!